As the sidewalks here in Texas start to sizzle, I begin to prepare for cooler days which seem so far away. 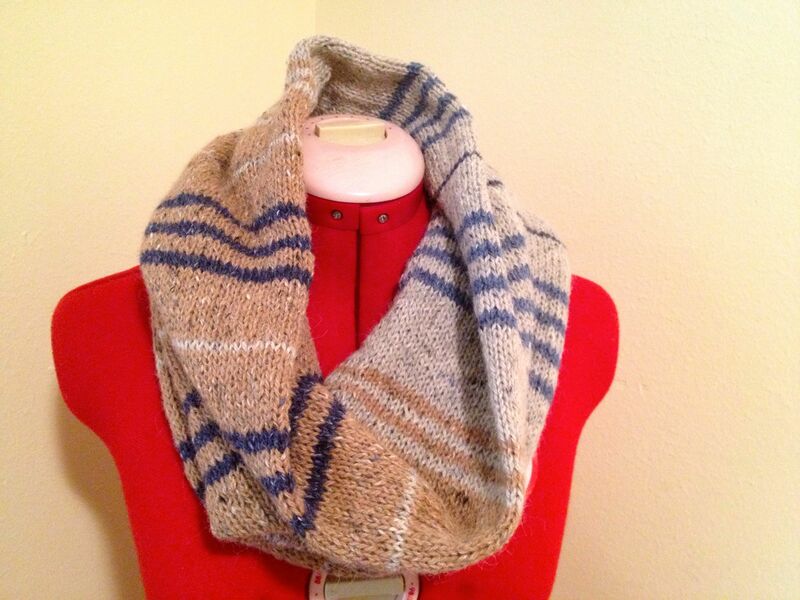 Cooler days when my beautiful new Ships and Seaside Cowl will keep cool breezes from chilling my bones. I chose colors that have me envisioning walking along a foggy beach in late fall as a salty breeze has me snuggling just a little further down into this warm wooly cowl. So, so pretty! Funny that knitting helps get us through the summer.